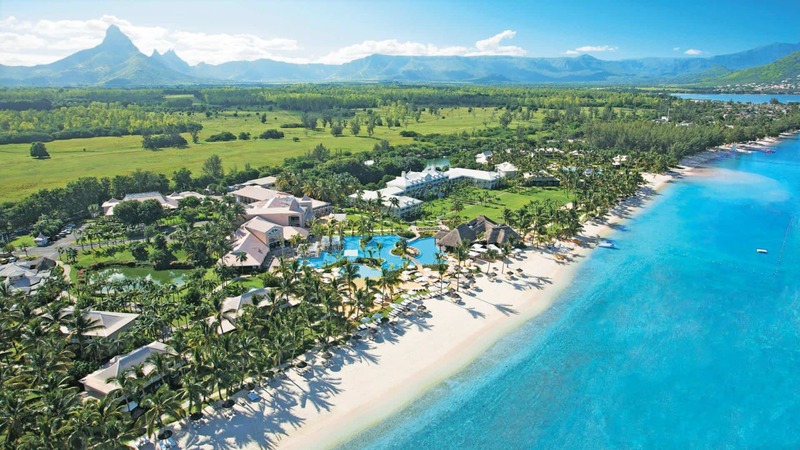 The picturesque beaches of the sheltered Flic-en-Flac bay host this imposing and impressive elegant five-star resort in Mauritius. Sugar Beach unfurls along sun-drenched sands bordered by crystalline waters, and perfectly manicured gardens. This plantation-style resort masterfully balances old-world opulence with modern comforts and offers panoramic views of the sunset over the ocean. A testament to the aesthetics of colonial estates in a bygone era. Spend the day blissfully lounging at the pool or unwind at the sensational spa, explore the water sports on offer or enjoy a magnificent round of golf. These separate, luxurious rooms in the Creole-style “Villa Houses” have direct beach access, spectacular sea views and offer elegant ground or first floor accommodation, complete with a private balcony or terrace. “Family comfort in elegance” Elegant ground floor rooms with twin, queen or king size beds (2 connecting rooms of 40sqm each) with garden view. They have a spacious private terrace located in the separate luxurious Creolestyled “Villa houses” or in the iconic Plantation style “Manor House”. These ground or first floor rooms are located in the iconic plantation-style “Manor House”. Decorated with elegant tropical flair, they overlook lush gardens and come complete with a spacious private balcony or terrace. These separate, luxurious rooms in the Creole-style “Villa Houses” are nestled in the lush tropical gardens and offer elegant ground or first floor accommodation. They have wonderful views of the garden and include a private balcony or terrace. 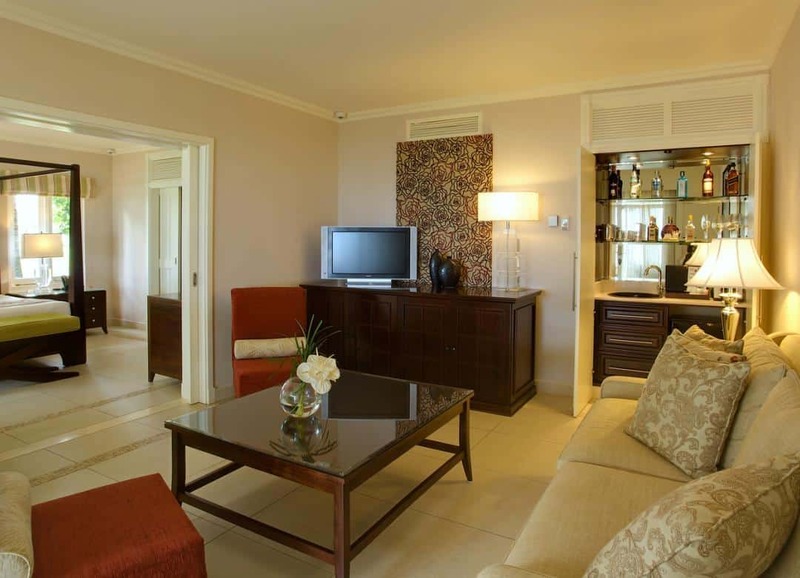 “Family Lifestyle at its best”- Elegant ground floor rooms with twin, queen or king size beds (2 connecting rooms of 40sqm each) with sea view including a spacious private terrace. These rooms are in the separate luxurious Creole-styled “Villa houses” or in the iconic Plantation style “Manor House”. House” and offer stunning ocean views from a spacious, private balcony or terrace. “Beach Perfection” – Elegant premium ground floor suites with direct beach access and spectacular sea views, complete with a spacious, private terrace. Sugar Beach Golf & Spa Resort offers 258 elegant first class sea facing rooms, Garden facing rooms and Suites along the famous beach of Flic-en-Flac, offering a wide choice of different categories dedicated to your personal preferences. The hotel hosts a selection of free water sports and free golf green fees at the Tamarina Golf Club and Ile aux Cerfs Golf Club. Children under 12 stay, eat and play for free. The ultimate restaurant to enjoy a comforting meal with your loved ones, Citronella’s Cafe offers a range of sensational Italian dishes. A continental buffet accompanied by live cooking stations in a sophisticated setting. Boasting an impressive and innovative a la carte menu, Tides offers perfectly created fine-dining dishes that burst with flavour and are presented with an artistic flair. Designed as an extension of the magnificent Citronella’s Cafe, this beautiful Italian bar is the ultimate place to relax before or after your delicious Italian meal at the main restaurant. A beautiful and sophisticated bar in the heart of Sugar Beach, La Brasserie is a fabulous place to sit back and relax with loved ones while embracing Sugar Beach’s sheer elegance. For sports fans looking to indulge in a game of tennis or to watch one of the international sporting events on large flat screen televisions, there’s no better place to be than Sugar Beach’s Sports Bar. Savour one of the signature cocktails while you watch the sunset or enjoy a bite to eat at the pool with a menu that includes everything from local specialities and sandwiches to salads.